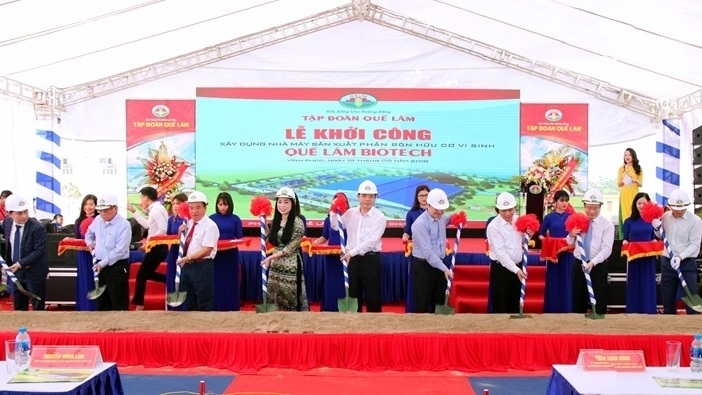 Que Lam Group commenced the construction of a bio-organic fertilizer plant, named Que Lam Biotech, with a total capacity of 100,000 tonnes per year, in Binh Xuyen district, Vinh Phuc province, on May 19. The plant requires a total investment of over VND262 billion (US$11.53 million) and covers over 40,000m2. Upon commencing operations, the plant will create jobs for 250 local labourers with an estimated wage of VND8 million per worker per month. 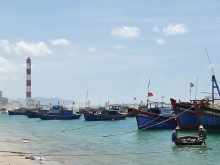 The plant is also expected to contribute VND12 billion (US$528,000)per year to the local budget in the first ten years of its operations and VND20 billion (US$880,000) per year from the 10th year onwards. It will also contribute to improving the surrounding environment through collecting and treating waste from livestock farms, agricultural product processing plants, and slaughterhouses to serve as input materials for producing organic fertilizer. This is the second plant of its kind to be built by Que Lam Group in Vinh Phuc after the construction of the first in 2006, with a capacity of 30,000 tonnes per year. Addressing the ground-breaking ceremony, Minister of Agriculture and Rural Development Nguyen Xuan Cuong said that the use of organic fertilizer brings about higher quality and cleaner agricultural products, contributing to accelerating the process of agricultural restructuring towards a ‘green, clean, safe, and sustainable’ agricultural sector. Que Lam Group is among the leading firms in producing and trading organic fertilizer and contributes approximately VND100 billion (US$4.4 million) per year to the State budget. It is now operating seven organic fertilizer plants across Vietnam.